Time is an illusion, but that doesn’t mean we can’t make sense of it. Sure you can live a simple life marking the path of sunlight across the ground or charting the stars to figure out the best time of year to plant crops. But thanks to 30,000 years of horological advances, making a DIY clock to sell for a profit or use in building brands is easier than ever. How does a clock work? How can I build my own timepieces? Isn’t making clocks, well, hard? Don’t fret. Let’s take a quick trip through the world of clock design and get you started as an aspiring timekeeper. Tick. Tock. Tick. Tock. Brrrrring! 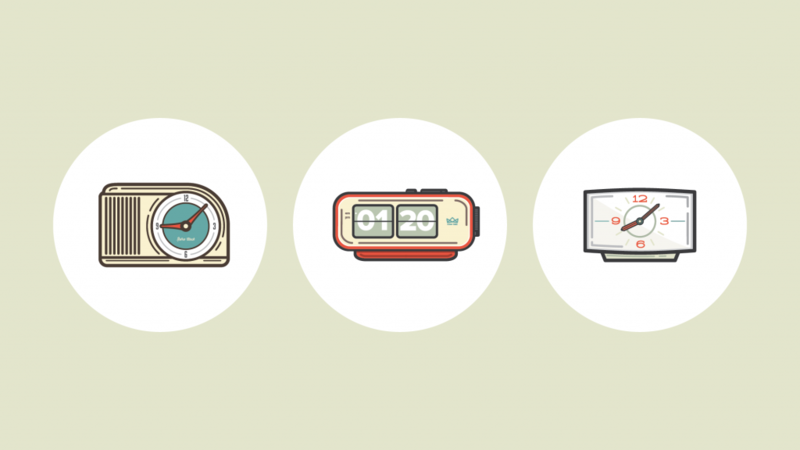 Analog clocks were, and continue to be, some of the most popular timepieces for good reason. Mechanical clock mechanisms have been made for centuries, to the point where mass production has dramatically reduced the cost of a reliable clock module to nearly nothing. 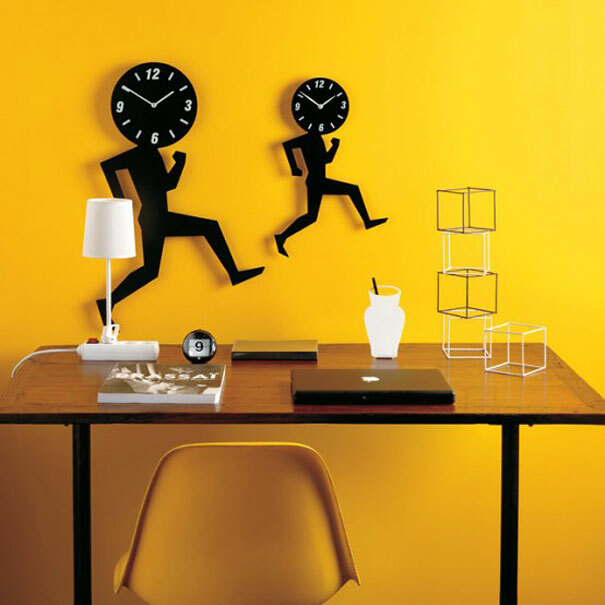 Clocks with hands can be styled and scaled to fit nearly any room. And depending on how much time you’d like to spend (pun intended! ), they can be made in an afternoon or meticulously crafted over the course of months. But don’t think that all analog clocks are like the boring, institutional ones in classrooms and government buildings. Oh no. 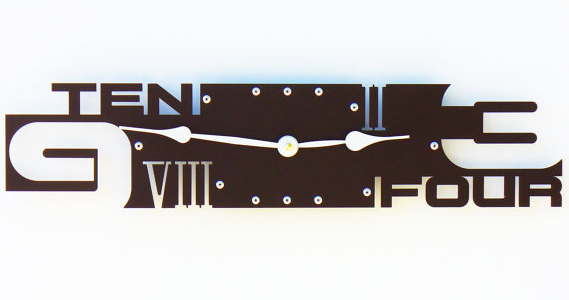 There’s sooo much artistry that can be achieved with analog clocks. Just check out Chicago-based artist Sarah Mimo, for example, who brings a unique eye to her clock creations. 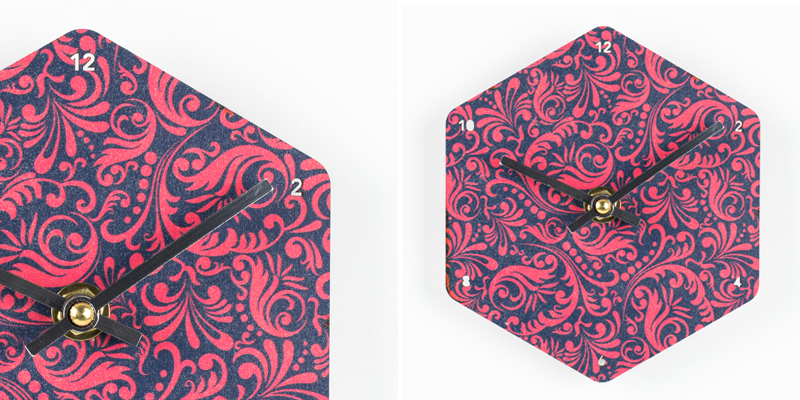 Her background as a freelance designer at a textile company coupled with inspiration from the ornate beauty of Europe’s public clocks results in a layered visual approach to elegant clocks making them truly original. Find this one (and more!) in her Etsy shop. Gears? Where we’re going, we don’t gears! Digital clocks forgo the need for winding, tuning and general maintenance required for analog clocks (aside from batteries!). Without gears, how do digital clocks work? Most designs take advantage of an integrated circuit called a real-time clock, or RTC, which can provide a consistent time source for a microcontroller. RTCs often require backup batteries to keep time (usually in the form of coin cells). However, some varieties incorporate beefy capacitors or integrated batteries that can keep time for months or years without additional power. How Stuff Works pokes a bit deeper into the operation of digital clocks for the curious. While both analog and digital clocks come in all shapes and sizes, digital clocks can have a distinctive advantage: Since they’re all electronic, you can have some fun and trick them out so they do more than simply tell time. Take this example from Etsy seller BluBirdieLLC. No only has she created a clock, this time teller also includes the date and temperature. And it glows! But that’s not all. It can be personalized with three photos, and there are eight alarm sounds—including Christmas tunes, so you could use it as a Christmas morning alarm to let everyone know it’s time to see what Santa brought. For those among us who live more equatorial lives (sorry Greenlanders), the daily journey of our sun’s light across the planet is a pleasant way to count the hours and minutes. 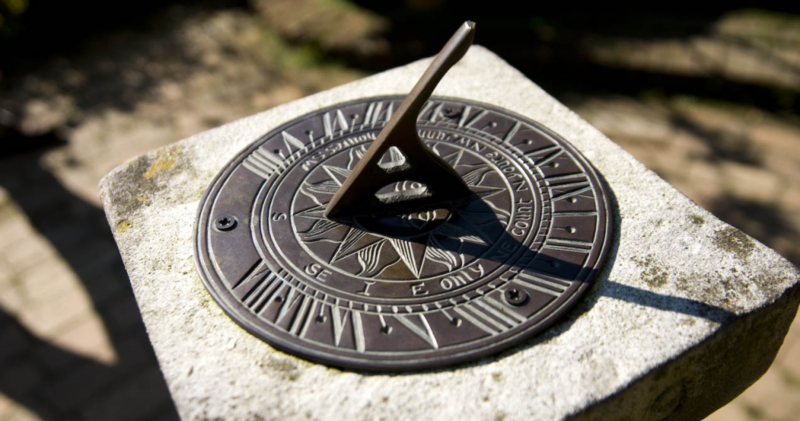 There’s good reason sundials have been used as clocks for millennia, they’re dead simple to make! The gnomon, which is the rising piece that casts the shadow. The dial itself, which has markings for the hours as the clock face. You will, of course, also need to know your current latitude and the direction of true north to make any sense of this basic timepiece. Here’s a good-looking example from Christoffer Undisclosed, although he does admit the timekeeping was off by a couple minutes. The mark of a craftsman is the ability to get the most out of average tools to make robust designs from raw materials. Having all the right tools will help you get the job done in a reasonable amount of time. If starting with a readymade mechanism to make a clock, then all you really need is something for the clock face, a means of making a hole in the middle and mounting the mechanism to the underside. These five tools—clock core mechanism, hand drill, scissors, files and glue—will get your started. RTC: One of the most common varieties is the DS1307, which is reasonably accurate and dirt cheap. But for a few dollars more, you can also get a DS3231 for exceptional accuracy over time. MCU: Nearly any microcontroller is able to communicate with an external RTC, but most modern controllers have one built in. 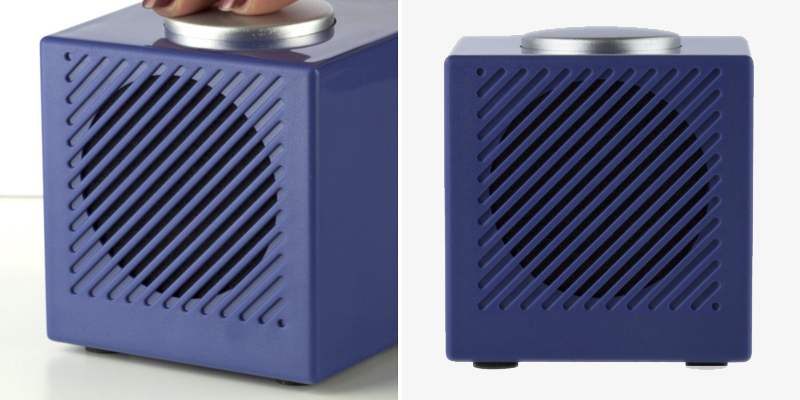 Our go-to is the Teensy 3.X series, just keep in mind that you’ll need a backup battery to keep time. Display: Seven segment LEDs make for a classic look, but there’s really no limit to how you can turn that digital time into something that humans can read. Clocks are about much more than telling time. Today’s buyers want them to integrate seamlessly into their décor choices. So you better make them interesting! Clock designs needn’t be overly complex. Simplicity is the ultimate sophistication, after all. 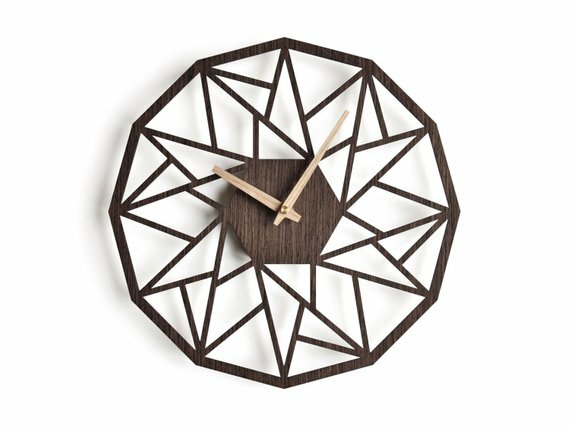 This dodecagon clock from Etsy seller NIUSdesign keeps this design simple by using a 12-sided polygon filled with repeating triangle and trapezoid shapes for a unique, modern aesthetic. As a graphic designer and illustrator, Maiko Kuzinishi put her talents to work as a clock designer and has created quite a successful business transforming her artwork into tangible timepieces. 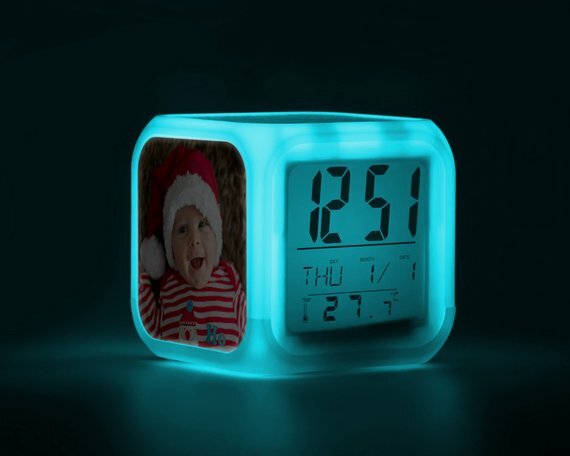 The endless customization options available when making personalized clocks are part of the fun of design. 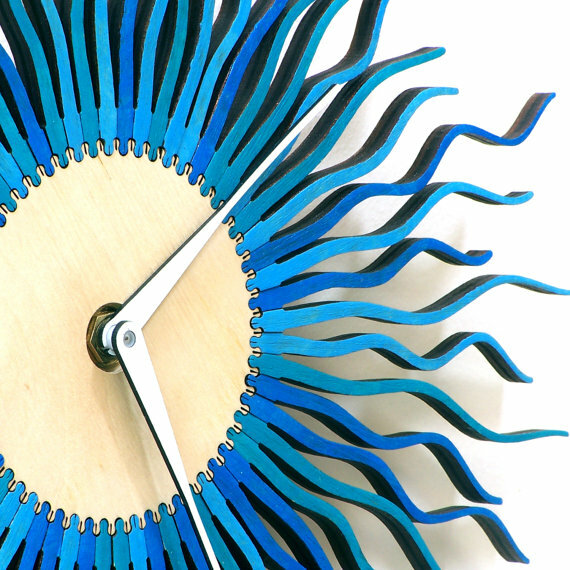 This whimsical laser cut clock makes use of a mechanical iris mechanism over the clock face. Inspired by radioactivity, the Radium clock (hence the name) from Etsy seller ardeola uses a raw wood disk to symbolize the central core of an atom emitting particles all over the space. 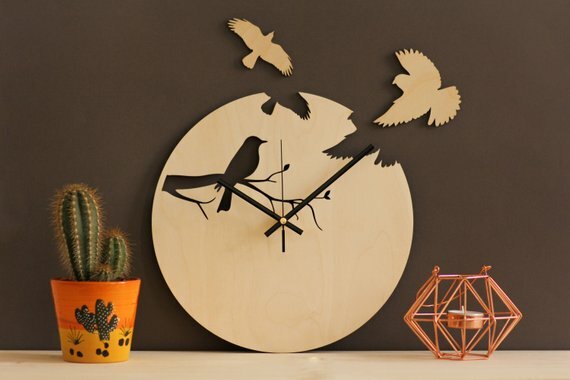 It’s truly a laser cut clock like no other. Making precise gear shapes by hand takes tremendous skill and patience. 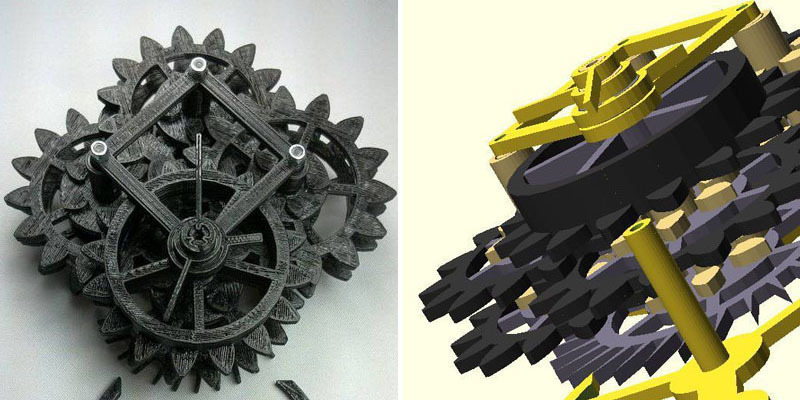 If you want to skip hours of intimate time spent with a scroll saw and get to the having-a-working-clock step, then this 3D printable clock design might be for you. Want even more ideas on how to make a clock the old-fashioned way? This wooden clock is great start for a beginner build. While it will still require some careful craftsmanship, user Marvay goes into detail behind the math for clock mechanisms to get moving. Upping the ante, Dean over on Dean’s Photographica has documented his beautiful build and demonstrated his expertise in putting machine tools to use in pulling working parts from brass stock. For truly masterful work, look no further than Chris (aka Clickspring) over on Makezine. He’s made a gorgeous skeleton clock from scratch and documented the whole build process. His videos definitely get two thumbs up. Not only does he take care to explain in depth what he’s making and how the process works, but he does so in professionally edited videos (that he also makes) that are on par with any educational tv show. His YouTube channel is one of the best examples of DIY small-scale machining around, and they’re a treat to watch. If tech is more your thing, then start dreaming in digital. But if you think today’s digital clocks still resemble the legendary Sony Dream Machine Cube, it’s time to wake up and smell the coffee. Digital clocks can do so much more than merely tell time (unless you’re intentionally keeping it simple). 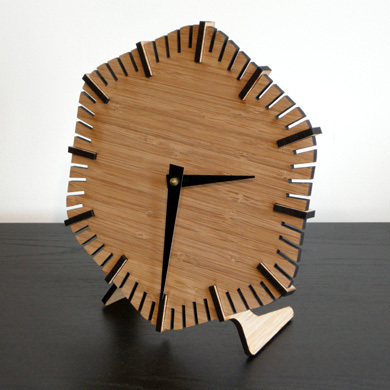 Take this wooden clock from Etsy seller donebetter. It gives the time and temp digitally. Cool. But it’s also engraved with the recipient’s name and a special message to have a great day. Even cooler. Prior to the development and mass production of LEDs and LCD display technology, Nixie tubes were one of the only electrical ways to display digits. 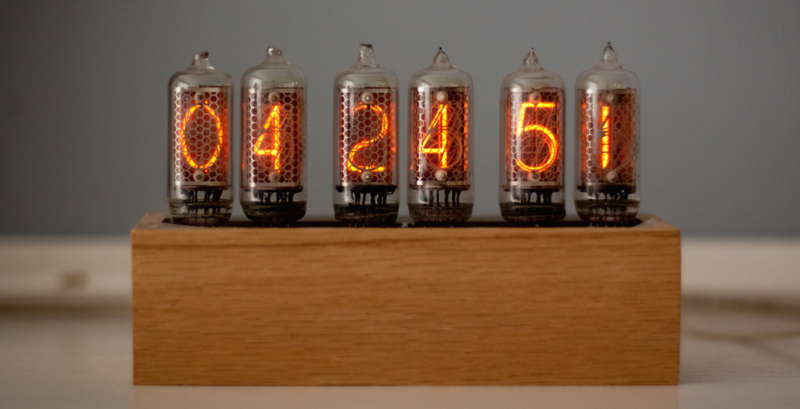 Nixie tubes have an individual filament per digit that can be stimulated to glow given the proper voltage. While in their heyday they weren’t used to make a clock (as they have relatively short lifespans when compared to more modern electrical display components), there has been a resurgence in the last few decades to turn these simple components into timepieces. Just look at this one from Braden Kowitz. They haven’t been produced in quantity for decades. Because the Soviet Union was among the last producers through the 1980s, you’ll often find auctioned pieces shipping from Ukraine or the Russian Federation. Driving the filaments requires 120 volts or more, making the circuitry a bit more dangerous to handle. While expensive, high-voltage transistors exist to control the digits (you need 10 per tube! ), there were, of course, dedicated driver ICs back in the day. These are now increasingly rare and sold as NOS (new old stock) from the same Eastern European nations where you’d find tubes. All this to say, they’re a pain to build. But they are sooo worth the effort for a truly unique clock. Since their design requires a bit more engineering skill, there are Nixie clock kits for those who just want some glowy vintage goodness on the desk. It’s half past 10010 and you’re going to be late for the 10011 showing at the movies! Of course, it’s doubtful anyone actually speaks like that, but this doesn’t mean you can’t keep time in binary like all the cool robots do. 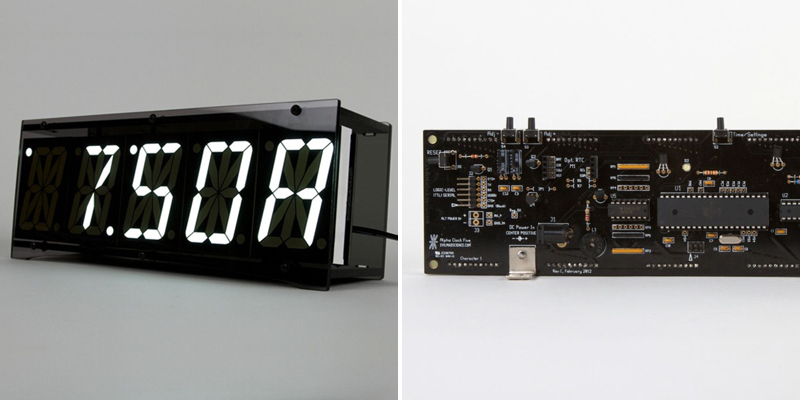 Binary clocks are some of the most affordable digital clocks to make as they only need a handful of lamps or LEDs to represent the bits that represent the hours and minutes. Just look how Andreia Bohner designed this one. 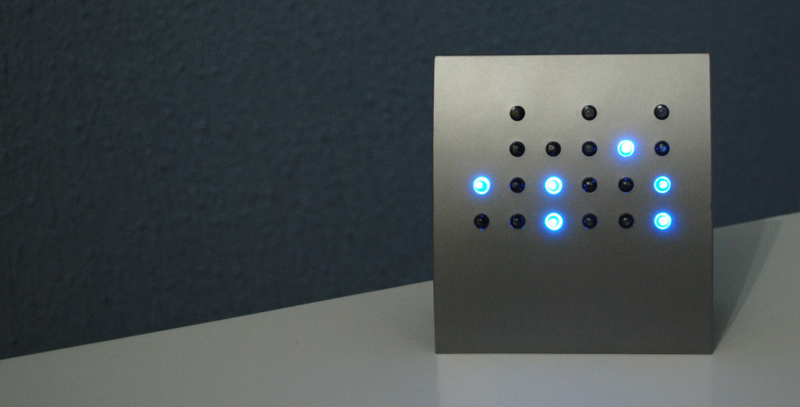 For fun, binary clocks can also be hidden in plain sight until illuminated like this little one over on Hackster. For those needing precision timekeeping, look to the sky. High above the earth are a handful of some of the most accurate clocks around. The Global Positioning System, as well as Galileo and GLONASS, is constantly broadcasting ultraprecise time data for all the world to hear. If you have an unobstructed view of the sky, it might be practical for you to stick a GPS module in your next digital clock. GPS modules often report their geodetic data in the NMEA protocol, which is human readable ASCII strings that are packed with information. You can learn more about NMEA data here. Sounds cool. You can build a GPS clock of your own with the help of this tutorial from the peeps over at SparkFun. Not only is this clock accurate to 100ns, it’s 12’ wide! Whoever said you needed to read a clock in order to get the time? Speaking clocks are a great alternative for those folks who with impaired vision or for people looking for a visually subtle, talking timekeeper like this one from RNIB. Although Jeff Bezos would rather you use it to buy products, the Alexa service is pretty reliable as speaking clock. Now, we’re not suggesting you grab the latest Echo, but instead reach for a Raspberry Pi, which can now run the Alexa voice service. The amount of knowledge and skill required to take raw materials and turn it into an accurate device is quite high. But like most crafts, there are thousands upon thousands of templates, tutorials and clock kits to aid in your timekeeping design journey. Kits also allow you to skip most of the time-consuming aspects of making a clock. 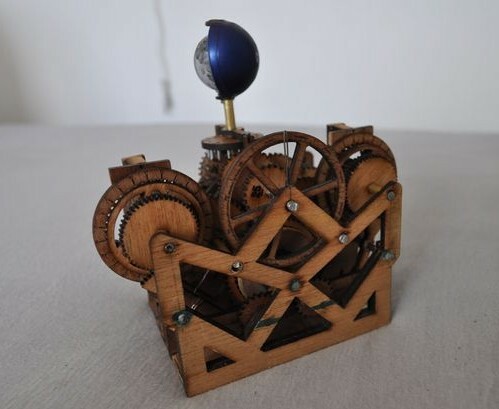 Of course, there are plenty of kits on Ebay that incorporate the necessary bits such as the core mechanism as well as clock hands (which you could easily swap). If you’re just dipping your toe into the pool of laser cutting clocks, start with a simple hexagon shape in an interesting material. This particular version is laser cut from red baroque printed MDF. Get the free laser cutting files here. For another simple build, this sleek, slotted Hex Clock kit has options. Wall mount it with or without number accents or use it freestanding with legs. Download the free files here then choose your favorite material (or three) and get to making! This unusual analog clock tells time in a more interstellar way. With the moon phase clock, you can easily keep tabs on the state of our lunar companion. Sure, it won’t help you stay on track for your latest deadline, but it does make for an excellent showpiece. While most digital clocks have seven segment LEDs or humdrum grayscale LCDs as their face, they needn’t be so bright and blocky. 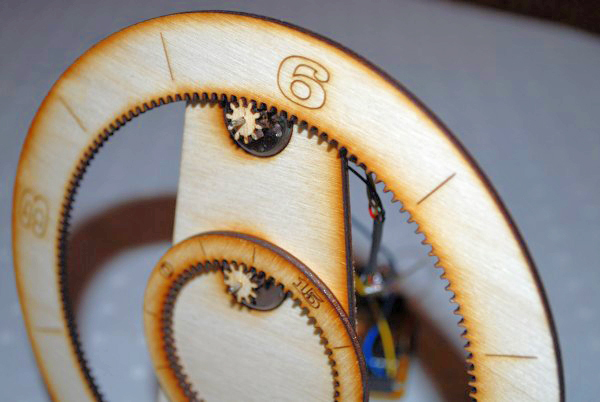 At first glance, this laser cut gear clock might appear to be analog in nature. But it’s really operated by a pair of stepper motors controlled by an Arduino microcontroller. Get the instructions here. Thanks to the inherent physical properties of crystal oscillators or the carefully run frequencies found in power lines, getting access to a reliable electronic means of keeping time is now exceedingly cheap and easy for the average maker to acquire. 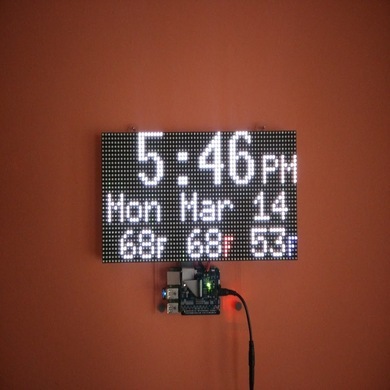 See what we mean with this Alpha Clock Five kit via Adafruit. This awesome alarm clock soldering kit features five crazy-bright, crazy-huge 2.3″ alphanumeric LED displays in dazzling white, a Chronodot RTC (for precise quartz timing, complete with battery backup) and a handsome laser-cut acrylic case. 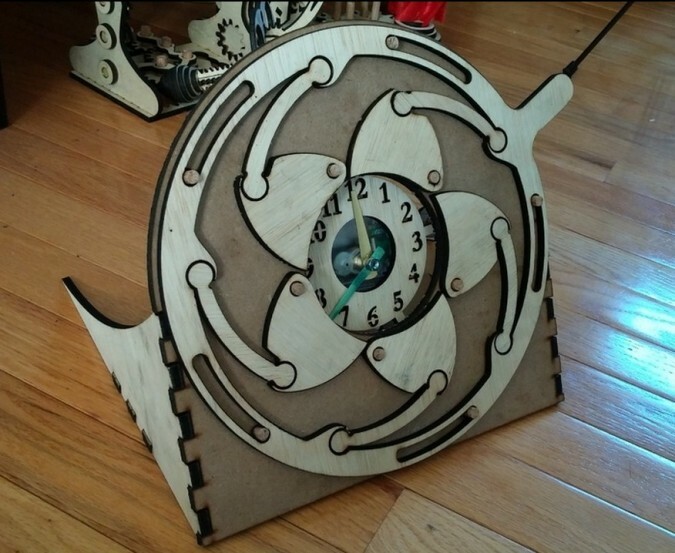 If you think working with Arduino is awesome, check out the LoL Shield Clock plans on Thingiverse. Instead of an LCD screen, this design uses individually addressed LED lights for the display so you can use it to show anything in the grid—from scrolling text and featuring images to playing games and more. 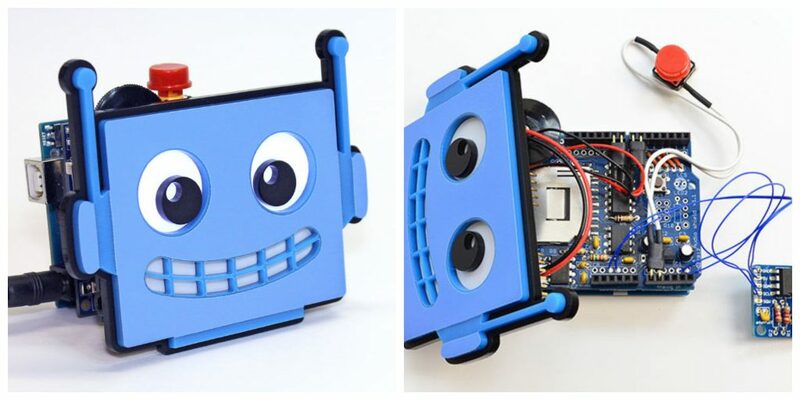 For a more whimsical take on an Arduino build, check out this project via Adafruit. Whereas most dwell on visual displays, this digital clock features Adabot’s friendly face speaking the time. Best of all, you can make this your own…give it your face and voice…or if you can do impressions, how about a Dave Jones or Arnold Schwarzenegger or clock? “John Connor get up or else I’ll be back!” Anything goes! 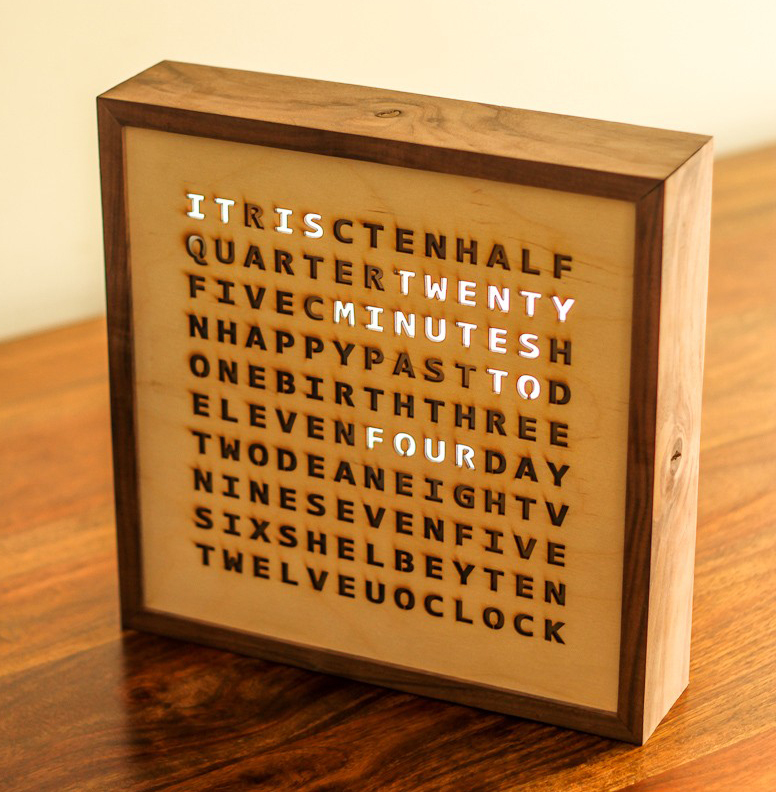 Inspired by the Qlocktwo, this word clock build has more than 1.4 million views on Imgur. 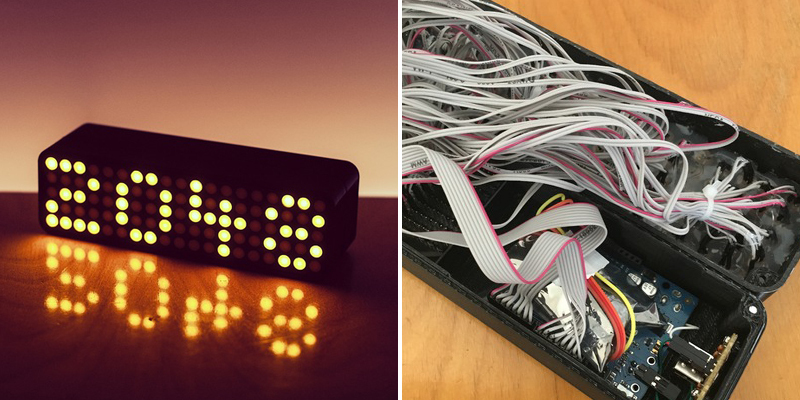 Run by two separate Arduino microcontrollers and a DS3231 RTC, this clock not only verbally tells the time but also displays a rainbow colored birthday message on the recipient’s birthdays. Get the tutorial here. Perhaps working with Raspberry Pi is more in your wheelhouse. 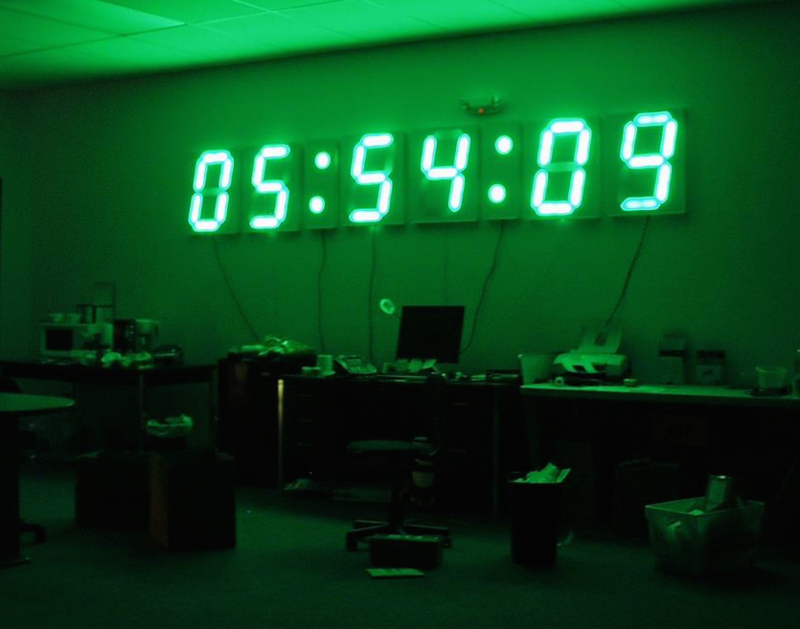 If so, then check out this fancy RGB LED matrix wall clock. Download the laser cut files for the mount plate here and all the instructions for making the project a go here. Making clocks for personal use or for giving to family and friends is great. But what’s better? Making clocks to sell for a profit. In the past, makers who want to profit from their creative passion typically sold at craft fairs and boutiques. And while those avenues can still be successful, the market has moved online. In fact, 96% of Americans shop online. So it makes sense to have visibility where people are buying. The most popular places to sell handmade goods online are Amazon, eBay and Etsy. But they’re not the only ones. 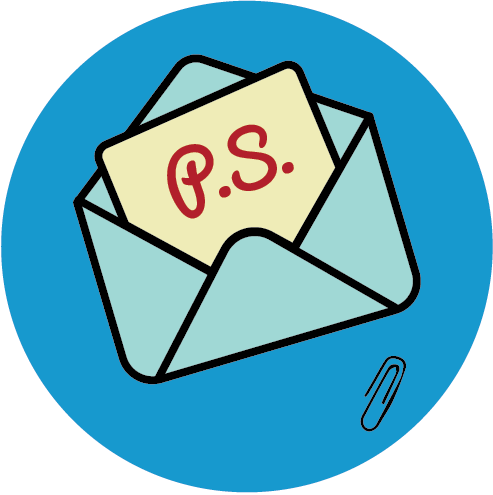 Small Biz Trends put together this list of 25 more places to sell handmade products online. 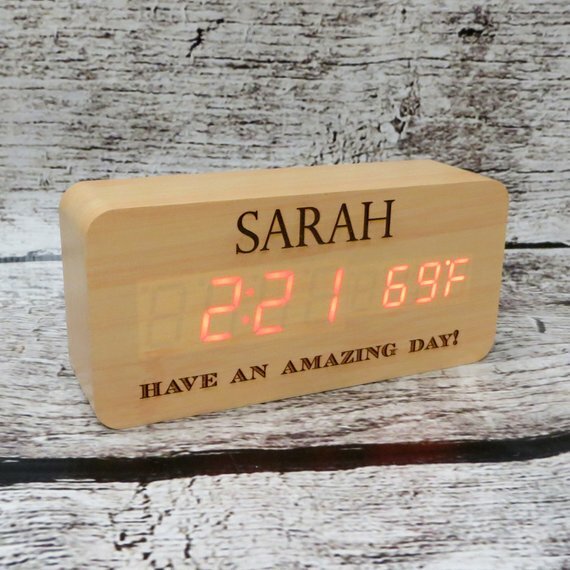 So when you’re making clocks to sell, check out the options so you can make an educated decision on which site is the best fit for your particular products. 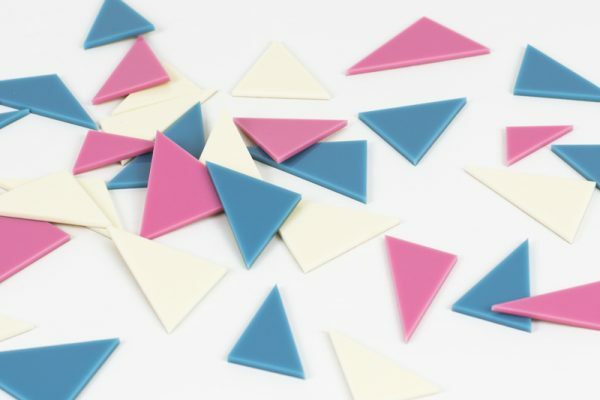 When determining what products could have the most market potential, one consideration is tapping into current design trends. If you’ve spent any time looking at home décor on Instagram, you know that monstera plants are all the rage. They’re so popular, in fact, that these swiss cheese plants even have their own day, #monsteramonday, when all the #houseplantclub, #plantgang and #urbanjunglebloggers post their pics. 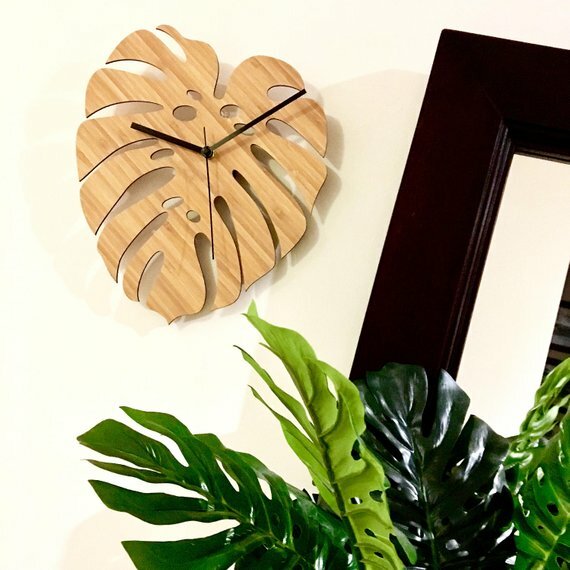 Etsy seller ColourandSpice has definitely been paying attention, as she created this laser cut bamboo clock in true monstera style. Note how the wood grain of the bamboo adds even more depth to the design. Beautiful! Another way to go to market is finding a product you love and figuring out how to make it better and more affordable. This is what happened with engineer Henry Stafford. He saw some artsy bike gear clocks while surfing the web and thought, “I could totally make that myself.” So he did. And he got such great feedback on his clocks that he launched Needlessly Complex and started selling them. Because every part of the mechanism is required for the clock to work, the thing as a whole is waaaay more complicated than it needs to be—thus, needlessly complex! 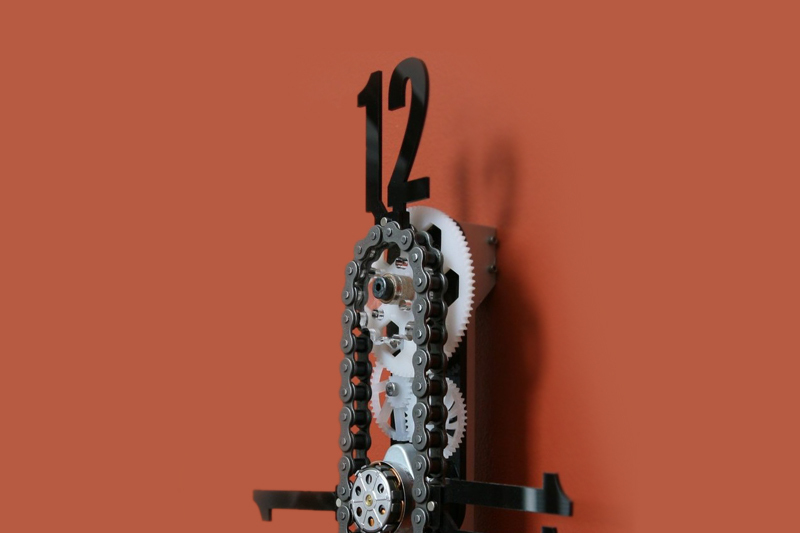 Get the inside scoop on his intricately crafted exposed gear bike chain clocks here. Connor Nishijima has a similar story, but his is with the retro Nixie clocks we talked about earlier. He loves the style and functionality of the Nixie tube clock and wanted to build one of his own, but the price point in today’s market was a deal-breaker. As an engineer, his passion is to solve problems, so he began researching how to make a Nixie tube clock. He just knew there had to be a digital clock project out there he could customize and make his own. 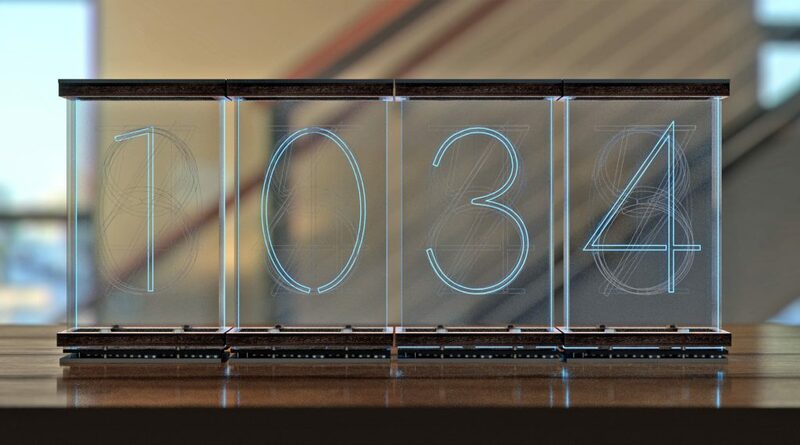 The result is an LED Nixie clock—the Lixie—that incorporates edge lighting laser cut acrylic with a wooden base for a fresh take on modern time telling. 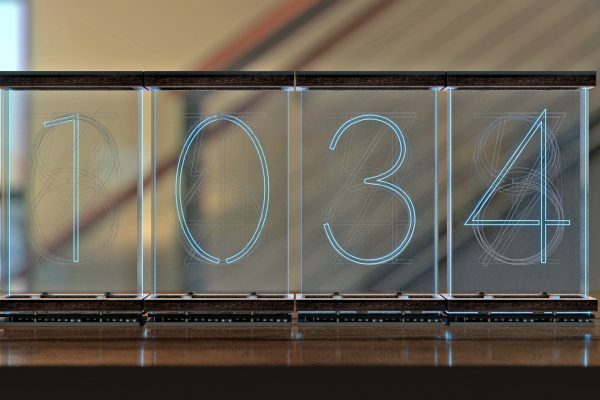 Turns out, Conner isn’t the only one who wanted the style of a Nixie clock but at a lower price point. Sales of his Lixie clock have been so great that he has been able to quit his day job and focus on his work at Lixie Labs full time. Read the success story here. What time is it? It’s time to make a clock! While you can spend as little or as much time as you want in building a clock, know that it doesn’t have to be a grand undertaking to make something useful that your customers can love. If you’ve got (another) minute and haven’t got your fill of inspiration, Bored Panda has compiled these 25 cool and unusual timepieces. Check out the “little time” clock with microscopic numbers that can only been seen clearly when the magnifying glass clock hands hover over them, as well as the Uomino, an appropriate clock for people always on the go since it quite literally gives the impression that time is running away. 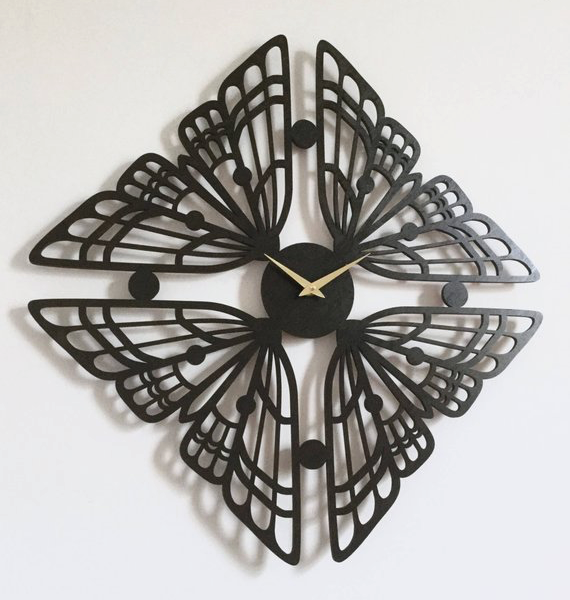 Not to be outdone, this post has a collection of 50 cool and unique wall clocks. 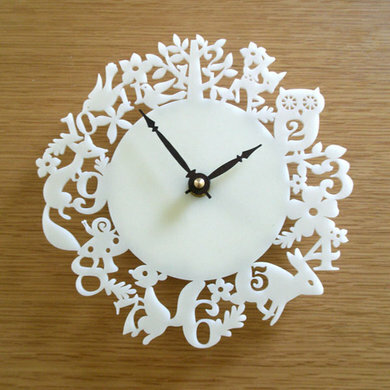 Perfect for brainstorming all the different ways you can make a clock. And of course Pinterest remains chock full of craft imagery and links to basic designs to build. Speaking of building ideas, Instructables has an endless slew of clock tutorials—from bizarre glowing abstractions, to classic mid-century staples—for you to follow along. 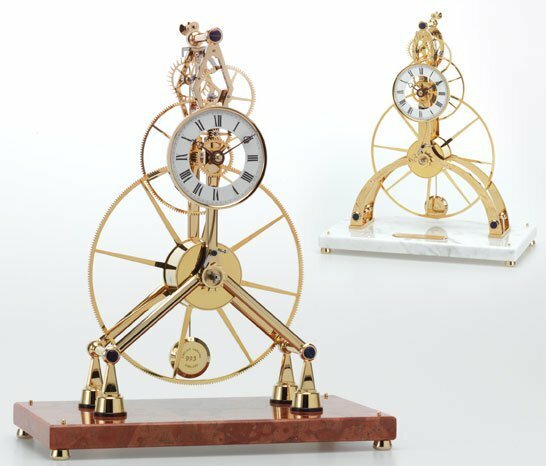 Finally, the National Association of Watch and Clock Makers, NAWCC, has compiled a hefty list of kits and plans galore to make a clock. There’s plenty of design rabbit holes to fall into there, though they skew towards more complex builds and ideas. So what are you waiting for? Stop wasting time and start your clock-making journey today! Check out this one by my friend Jonathan over on instructables. They’re quite complex!